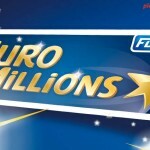 Officials estimated that tonight’s EuroMillions lottery jackpot will be worth a whooping €32 Million. For the last two consecutive draws, no player has been lucky to match the EuroMillions winning number combination. This begs the 32 Million Euro question, who will match all the six winning numbers from tonight’s draw? If tonight’s draw misses a jackpot winner, it will be the third roll over for the EuroMillions lottery. The closest the players have got to the EuroMillions jackpot is when five tickets matched up the five main numbers plus one of the lucky star numbers to win the second tier prize of €329,062. The jackpot rollover allowance is capped at €190 million hence the jackpot prize the potential to grow to exponential amounts. Unlike the EuroMillions lottery, the UK lottery players seem to have hit a lucky streak. Players to the popular lotto game have matched up the numbers for the last three draws. 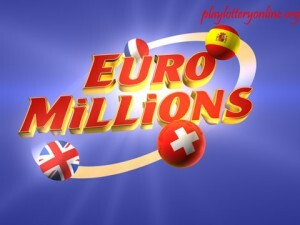 Additionally, lottery players from the UK are in for a special Euromillions raffle. 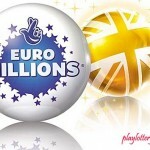 Usually the EuroMillions raffle guarantees to make at least one UK lotto player a millionaire. But on 18 May it will be different as Camelot will hold a special raffle draw that will offer a total of £18 million in raffle prizes. 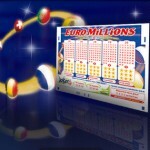 This means that the raffle game guarantees to make 18 EuroMillions raffles players millionaires overnight. The next UK Lotto draw will be at its basic and Camelot estimates that it will be worth £2,200,000. The draw is scheduled for tomorrow.